MPV is a common abbreviation for Mean Platelet Volume. This reading is representative of the platelet size in your blood sample. A machine determines the volume. The blood test used to check for lower than normal MPV is the Complete Blood Profile, also known as CBC. This reading is useful because it determines the platelet production rate in any patients who have diseases or problems related to bone marrow or platelet destruction. It can provide your physician with proof of whether or not your body generates more or fewer platelets than other people do, since the platelets are enlarged. What is MPV Normal Range? The platelet volume is calculated in terms of femtoliter. It is abbreviated as “fL” and in normal cases, MPV ranges from 7.5 fL to 11.5 fL. Most people with a reading between 9.7 fL and 12.8 fL are considered to be in a safe zone. Why is your MPV Low? What does that Mean? If you have a low value of MPV, this indicates that your blood platelet count is lower than what is considered to be normal. You may suffer a greater loss of blood if you are injured. In addition to that issue, low MPV is considered to be symptomatic of a variety of disorders and diseases. Women generally have lower readings of MPV in the first few days of their menstrual cycles. Low readings have also been observed in newborns and infants. This is normal for that age group. However, when a woman has recently given birth, her MPV readings are usually elevated. Mistakes in blood sample collection can also be the cause of low MPV. These mistakes do not occur often, but when they do, the blood clots before testing of the sample has been done. Since the platelets were already used when it turned the sample of blood from a liquid to a solid, the low platelet value is a false reading. Low levels of MPV are usually associated with disorders like viral infections. AIDS is the most common disease that causes lower levels. An over-active spleen or the administration of heparin or other drugs that lower your MPV can also lead to an MPV reading that is abnormally low. If you have low MPV, particularly if it was the result of aplastic anemia, the culprit for your lower readings is usually thrombocytopenia. Aplastic anemia impairs your body’s production of platelets. If you have thrombocytopenia, the most common problem you will encounter is excessive bleeding. 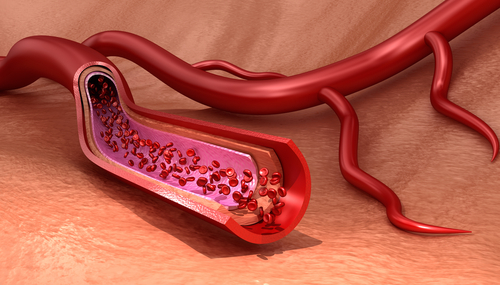 If you have a very low platelet count, this makes it more difficult for your blood to clot properly. If you have a genetic disorder like anemia or lupus, you will also probably have an MPV level that is on the low side. Autoimmune disorders like leukemia, lupus and rheumatoid arthritis are among the main reasons for people having MPV values that are abnormally low.